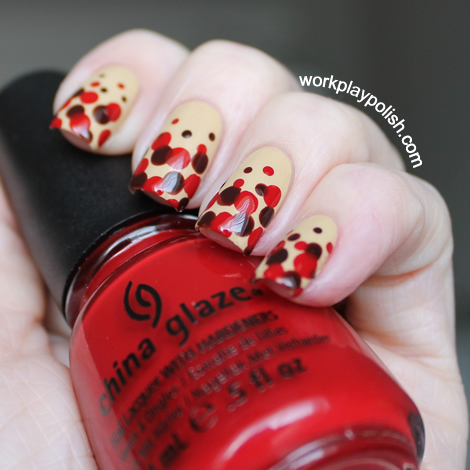 This is post five of the China Glaze On Safari safari. I'm finding it difficult to appreciate these manis when it's hot and sunny outside. But then I did this one. And even though it's composed of autumn colors, I'm loving it right this minute. Again, I took a cue from the amazingly talented Sarah at Chalkboard Nails. 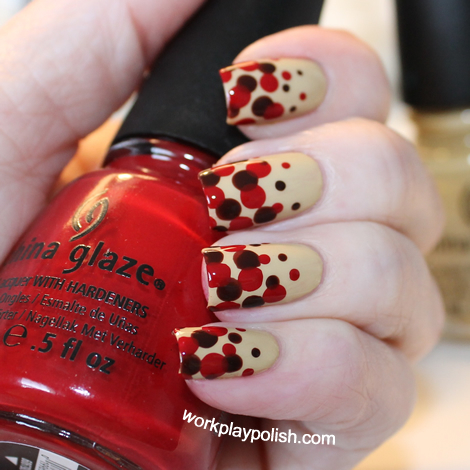 I looked at the On Safari polishes I had left to test and her Gradient Dot Manicure immediately came to mind. I started with a base of two coats of Kalahari Kiss. Then dotted on Call of the Wild and Adventure Red-y. 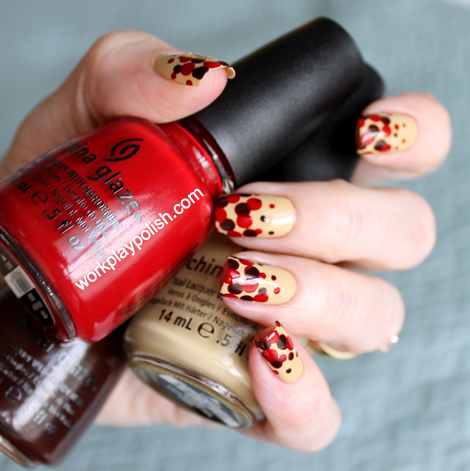 This color combo is fab and all three are part of the On Safari Collection. This is so simple. I didn't even use dotting tools. Just a sewing pin stuck in the eraser end of a pencil and a small sewing needle. Just three colors left! I'm wearing something obnoxiously bright when I'm finished!